All neurodegenerative diseases have two things in common: 1) they kill brain cells, and 2) they are associated with abnormal forms of what used be normal proteins in our body. One question that has plagued the field is what actually causes neurodegeneration? Is there a common pathway that these diseases follow to their end result? In answer to these questions, we are seeing more and more research that spans across neurodegenerative diseases that will likely aid all of them despite findings initially being discovered in one disease. The above is pertinent to the recent article by Zhou and colleagues in that they are looking at what biochemical modifications occur when brain cells are exposed to the toxic prion protein. Earlier research has shown that once abnormal proteins build up and cause neuronal death, our body responds by a process called autophagy. Think of it as the “garbage removal system” of the body. What is less clear and what this article attempts to answer is what precedes autophagy. Essentially, the study started by examining biochemical differences in cells exposed to the toxic prion protein. Long story short, pathways can be inhibited or exaggerated by using chemicals known to affect these pathways. The researchers found that nicotinamide adenine dinucleotide (NAD+) is consistently decreased in brain cells shortly after they are exposed to the toxic prion protein. Anyone familiar with the Kreb’s cycle already knows that this is a big deal. The Kreb’s cycle, also known as the citric acid cycle, is how the cells in our body generates energy. Figure 1 is awfully complicated, but just look how many times NAD+/NADH is used and that should tell you how important it is. It is also important as a second messenger and is responsible for multiple actions in cells. The authors’ figure 8 depicts the multitude of ways NAD+ depletion could be harmful to neurons. Unfortunately, I cannot post it as it is under copyright protection. To test their hypothesis that NAD+ depletion was a step in the neurodegeneration pathway started by introduction of the toxic prion protein, the researchers added NAD+ to cells. When NAD+ was added to the cell cultures, the cells were “rescued” from cell death. Different doses had an effect as well, with higher doses of NAD+ being more effective. This also appeared to be specific to neurons and was not observed in supporting brain cells called astrocytes. Coincidently, the brain changes in prion disease usually entails the loss of neurons and build-up of astrocytes, called astrocytosis. Next, the researchers wanted to know if they would see similar results in animals. Using living mice, toxic prion proteins were injected deep into the brain. If enough NAD+ was injected with the toxic prion proteins, then neurons did not die. NAD+ was protective when given with toxic prion proteins. However, we usually do not know someone has prion disease until well after they start exhibiting clinical symptoms. The next experiment involved administering NAD+ after the mice had been injected with toxic prion proteins for 117 or 130 days. Because NAD+ does not cross from the blood to the brain, the blood-brain barrier was bypassed by giving it intra nasally. Mice administered NAD+ after several months of prion infection exhibited some improvement in their motor skills (e.g., walking and moving). Unfortunately, there was no difference in survival times between mice treated with NAD+ and those that were not treated with it. Arriving too late to the game is the story of prion disease. Prion diseases are so rapid and destructive over such a short period of time that successful treatments once the disease has started affecting the brain have been very hard to come by. As it currently stands, NAD+ may improve quality of life in prion disease patients, but it does not appear to be able to affect survival time. However, if a drug were found that halts the progression of prion disease, then using NAD+ in addition to it may prove a clinically significant benefit to patients. The untold story is that researchers will be building on these findings, and not only in the prion disease field. I can assure you that researchers in other neurodegenerative diseases will also be looking at this for applicability to Alzheimer’s disease, Parkinson’s disease, and other conditions. This will only help the prion disease field. Prions cause depletion of NAD+ in brain cells, which causes brain cell death. Treating mice already infected with prion disease improved some of their symptoms, but did not affect their survival time. 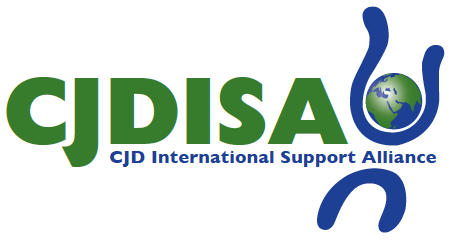 If you think these research summaries are helpful and would like to see more, please contact Suzanne Solvyns or Deanna Simpson of the CJD International Support Alliance.